James Levine, in rehearsal at the Metropolitan Opera in 2008. 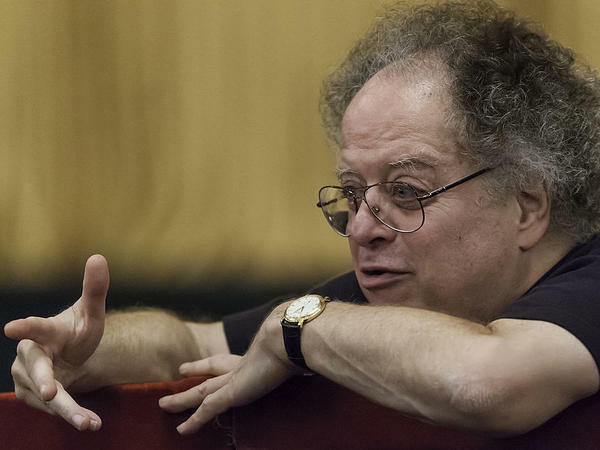 On Tuesday, a New York State Supreme Court judge dismissed most of conductor James Levine's claims in a defamation suit the former music director of the Metropolitan Opera filed against his former employer and its general manager, Peter Gelb. Judge Andrea Masley issued her decision almost exactly a year after the famed opera house fired Levine, after several men came forward accusing the conductor of sexually assaulting them. Levine had been associated with the Met for more than 40 years, most recently as the house's emeritus music director. In total, nine men have come forward with such accusations, either by name or anonymously, to media outlets including the Boston Globe, the New York Post and the New York Times; the allegations span more than a 20-year timeline. The Met also conducted an extended internal investigation, looking into claims that Levine had committed "sexually abusive and harassing conduct." After the Post and the Times printed some of the accusations against Levine and after the company's internal investigation was underway, the Met's general manager, Peter Gelb, was quoted in a December 2017 Times report as saying, "This is a tragedy for anyone whose life had been affected." In an email to Met supporters, Gelb struck a similar note, writing: "This is a sad moment in the company's history and a tragedy for anyone whose life may have been affected." In the past year, the opera company and Levine have sued each other: Levine sued the Met and Peter Gelb personally for breach of contract and defamation related to Gelb's statements and the Met's internal investigation, saying that the company was "cynically hijacking the good will of the #MeToo movement," while the opera company sued the conductor for harming the company. In her decision, Masley wrote that Gelb's choice of words to the Times and in his letter to supporters were not defamatory. Instead, she wrote, they are "vague and equivocal statements." Levine did score one victory in the court, however; Masley ruled that the Met and its attorney did make defamatory statements last March, in claiming that the company had found, in the course of its internal investigation, "credible evidence that Mr. Levine engaged in sexually abusive and harassing conduct towards vulnerable artists in the early stages of their careers, over whom Mr. Levine had authority." Levine's attorney, Edward J.M. Little of Hughes Hubbard & Reed, asserts that his client won his most important victory in yesterday's decision. "The statement about 'credible evidence' is defamatory, in our view," Little tells NPR. "We're looking forward to trying the case." The rest of Levine's suit against the Met is ongoing.